LAHORE: (Sunday, March 11, 2018): Punjab University Library has organized a seminar on environmental friendly attitude in which Department of Geography Associate Professor Dr Munawar Sabir and Aisha Khalid highlighted the concepts of "Go Green Pakistan" and "Sustainable Development". 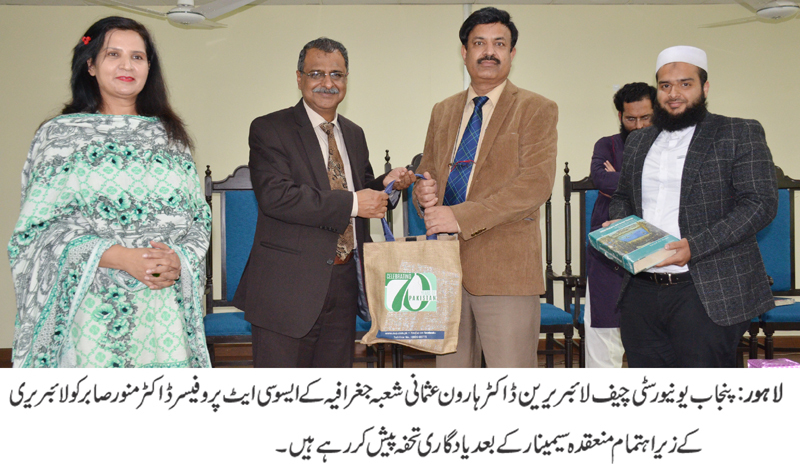 Chief Librarian Dr Muhammad Haroon Usmani, faculty members, librarians and students were present on the occasion. In his address, Dr Haroon Usmani emphasized that such activates would be conducted in the libraries for the promotion of book friendly culture and to establish an informative society. Later, cloth bags were distributed in the participants as the best substitute of polythene bags.